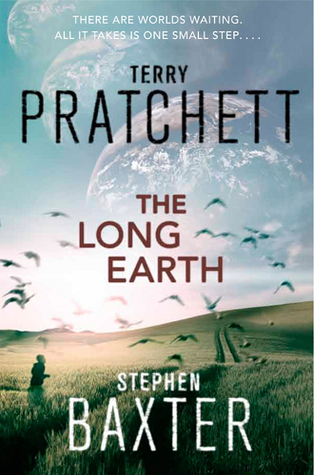 Wolfs' Books: Memorable Reads:The Long Earth Series. 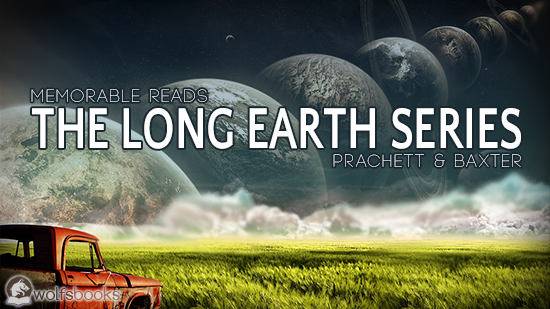 Memorable Reads:The Long Earth Series. 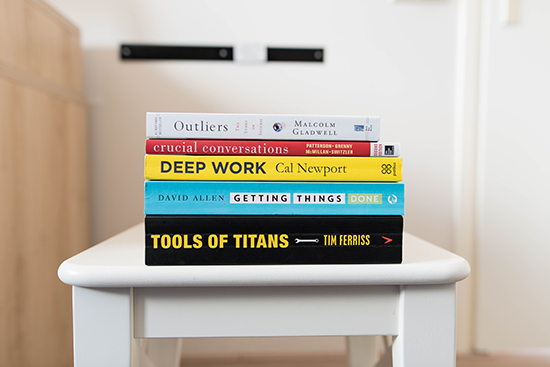 Have you ever come across a story set in such a wonderful universe that long after finishing the book you find yourself thinking about the worlds these story's are set in and the possibilities of how these would affect our own lives? I do! In this series I don't want to talk about the books story line, per se, but the actual mechanics or world building which carries the plot, that makes the book all that more memorable. In the Long Earth Series, a device called a Stepper was made freely available over the internet, it is a box which contained some rudimentary wiring, a three-way switch, and a potato as the power source. 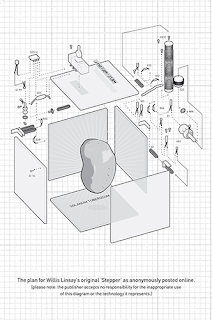 The idea explored is that our Earth sits in one of many parallel universes and that this Stepper device allows people to step through them, sort of like moving from one card to the next in a deck of cards. Sticking with the deck of cards analogy people moving through these parallel universes will occasionally come across a Joker universe. Normally as you step through each parallel universe there is only a slight change between each universe, and it takes a lot of Stepping before a major change becomes apparent. A Joker universe is one which suddenly pops up that doesn't conform with the ones around it. Earth West 2,217,644, known as The Gap. Here there is no Earth. It is believed that a huge impact from a meteorite nicknamed "Bellos" destroyed the planet entirely. Space Nerds use the closest Earth as a base and Step across in home made space suits, carrying bricks. They are building a brick space station. Earth West 247,830,855 where the Earth is actually a moon which orbits a rocky world that had no counterpart on other Earths. This Earth-moon is described as a mix between Datum Earth and Io, one of Jupiter's moons. Lights can be seen on the surface of this Earth's primary, indicating that there may be a civilization of some sort there. Earth West 110,719 a world infested with large insects and not much else. We're not told this but judging from the explanation of Joker worlds our own world, or Datum Earth as it becomes to be known, is a Joker world as this is the only world where humans have deveolped. No other world or universe had humans before we learnt to Step. The majority of the worlds have no intelligent species at all. The amount of other intelligent species found on other worlds are few and far between. Initially Stepping was limited, only a sentient being can step and it is usually followed by nausea and vomiting. so most people need time between steps to recover or drugs to help them overcome the nausea and Step quickly. You can only take what you could carry, it wasn't possible to load up a truck with equipment and goods and Step across. This prevented the instant industrialization or commercialization of the new worlds as equipment and advanced building materials needed to be carried over by hand. Also some metals, like iron and steel couldn't be taken across, which meant setting up ore processing and the like from scratch. Each new world became a frontier of their own, just one small step from all the comforts of home. Soon however airships which could Step across multiple worlds per second and carry a large amount of cargo were developed, and the chain of new worlds was open for development. You can Step in one of two directions, termed East and West. Normally, every time a person Steps, they move one world in either direction. The worlds in the Long Earth are named after the amount of steps - either West or East - that need to be taken to reach it from Datum Earth. For example, Earth West 5 is located five steps west of the Datum. Through out the Long Earth Series we get to read a lot about the impact this has on humanity, socially, economically and pychologically. Some issues we read about are how it affects Earths governments, and the different things they did to try and control their borders, tax revenue and sovereignty and how it affected law enforcement and transportation. Others are implied, however in regards to transport, people would generally Step back to Datum Earth to use the already established transport grid to get to the relative position of desired destination, on Earth, and then Step back to the alternative world. Yet, how can the governments of Earth preform upgrades and maintenance on the infrastructure when most of the people using them are now no longer paying taxes? There was so much 'stuff' to think about, such as how this would impact the world as we know it (mentioned above). I also found the universe (or world building) which was established for the Long Earth Series, to be bursting at the seams with fodder for an unlimited amount of stories. I would love to see a story detailing an expedition to explore Earth West 247,830,855's (or Earth-moon's) primary world, what they find and how they deal with it. 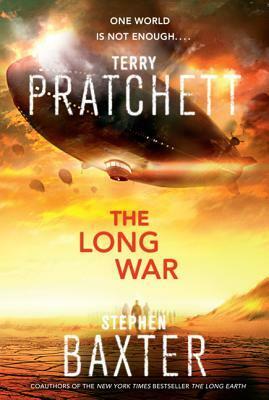 There is also a minor story arc in the novel, The Long War, which follows the crew of an Airship, The USS Neil Armstrong 2 traveling across parallel earths to map, log and study them, as well as "plant the flag". This was a minor story arc, but it could be made into a Star Trek/Star Gate-esque book or a T.V series. 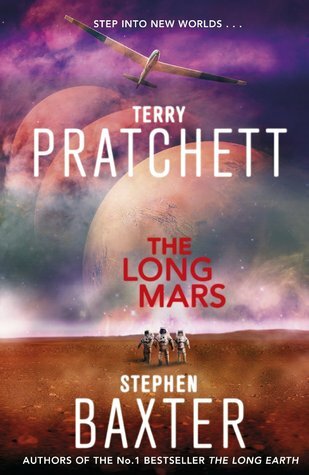 They did it with James S. A. Corey's The Expanse, why not Long Earth spin offs. This is the sort of world building which I like, a world so detailed that when I have some free time to think, like on a long drive, I find myself thinking about what it would be like if this was a reality? What I would be doing, would I be out on the frontier pioneering or would I stay home on Datum Earth? Would I be able to find an ideal world to set up a profitable coffee or tea plantation? How this would A, B and C affect X, Y and Z? Although I liked these novels, I know of several people who didn't. If you are a fan of Terry Pratchett don't expect to see any silliness like you would in his Discworld novels. The silliness is there but I would call it more hubris than silliness. You see it in the outcomes of what people did with the gift they were given. We see human nature at it's best but mostly at it's worst and the ridiculousness of having unlimited resources but still wanting more. All up a really great series to read and enjoy. Have you read this series? If so if this became our reality what would you do with the unlimited opportunities that just opened up?